The little power that we bring. Makes orphans into kings and queens." 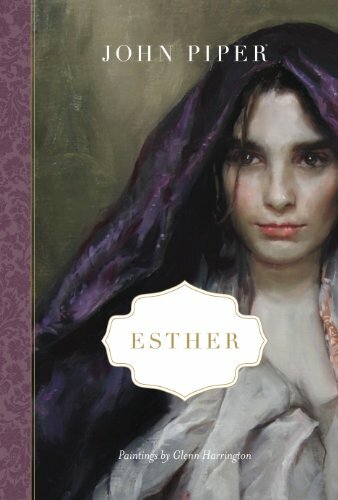 Capturing our imaginations and hearts, John Piper introduces us to Esther the poor orphan and Esther the Persian queen--creatively musing about what could have been in the midst of what really was. Using poetry to tell a moving story, Piper awakens wonder in us as we experience the beginnings and endings of Esther's life and see throughout the purposeful hand of God. John Piper (DTheol, University of Munich) is the founder and teacher of desiringGod.org and the chancellor of Bethlehem College & Seminary. He served for thirty-three years as the senior pastor of Bethlehem Baptist Church in Minneapolis, Minnesota, and is the author of more than fifty books, including Desiring God; Don't Waste Your Life; This Momentary Marriage; A Peculiar Glory; and Reading the Bible Supernaturally. Glenn Harrington is an internationally recognized painter whose art has been featured on the cover of over 600 books. His paintings have also been a focal point in many publications, including The New York Times, American Arts Quarterly, International Artists Magazine, and The Philadelphia Inquirer.